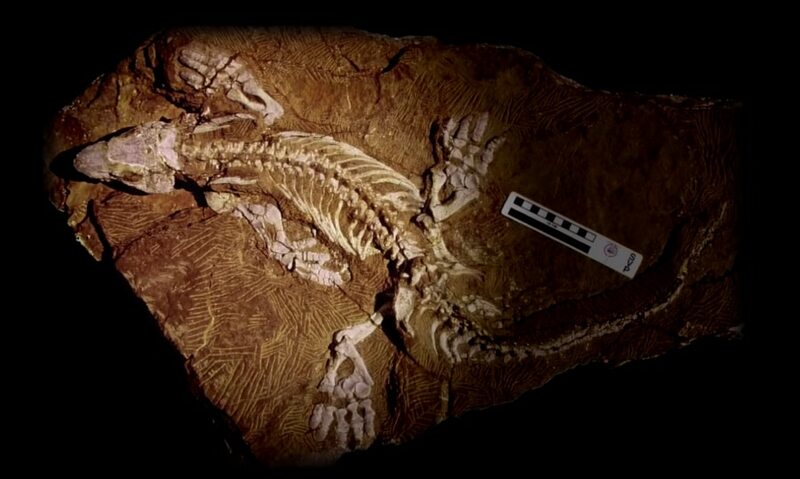 You can tell a lot about an animal from the way it moves, which is why scientists have been recreating the movements of an extinct crocodile-like creature called Orobates pabsti. Orobates lived well before the time of the dinosaurs and is what’s called a ‘stem amniote’ – an early offshoot of the lineage which led to birds, reptiles and mammals. Using 3D scans of an exquisitely preserved Orobates fossil – and an associated set of fossilised footprints – researchers were able to build a dynamic computer simulation of the creature’s movement. 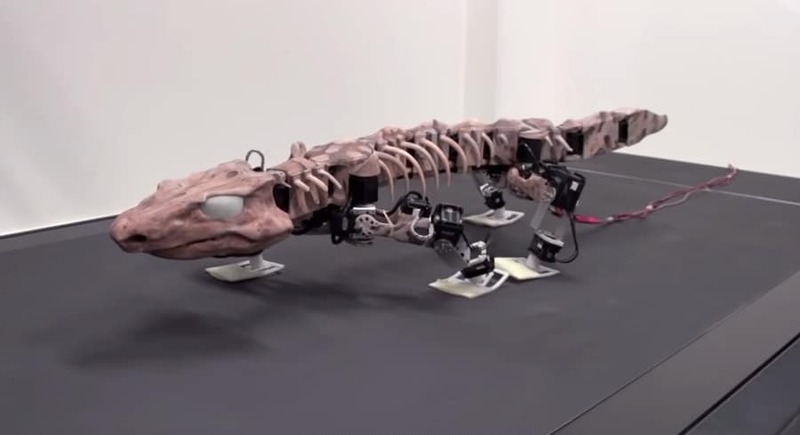 The simulation incorporates data from extant animals such as lizards and salamanders to create more realistic motion as it walks along. 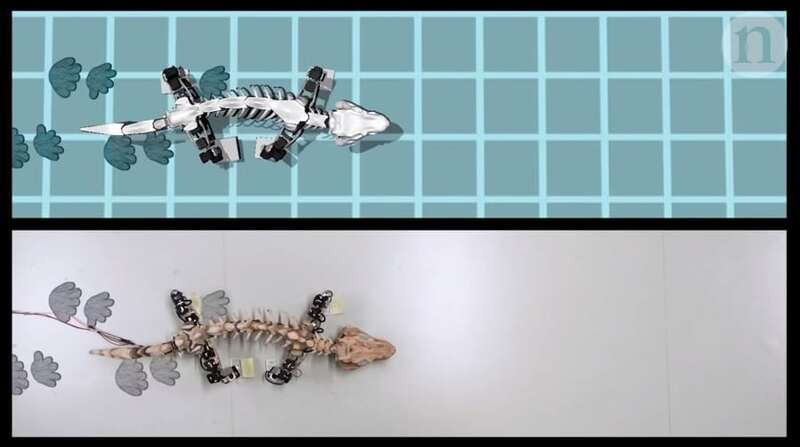 And the simulation didn’t just stay on a computer; the researchers tested the models in the real world using a Orobates robot, helping bring this ancient creature to life. Bonus activity: Reverse Engineering the Locomotion of a Stem Amniote. Find additional reading at National Geographic. 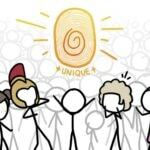 Watch these videos next: A cliff wall full of dinosaur footprints in Spain and Animated Life: Mary Leakey & the Laetoli footprints. Plus: More locomotion, more fossils, and 3D Printing Dinosaurs: The mad science of new paleontology.